Bare Aspen trees give way to bushes holding on to color as winter approaches in the Eastern Sierra mountains of California. Taken with a Nikon D800 using a Nikkor 80-400mm lens. 0.6 seconds at f/11, ISO 100. I use a tripod for all my images. 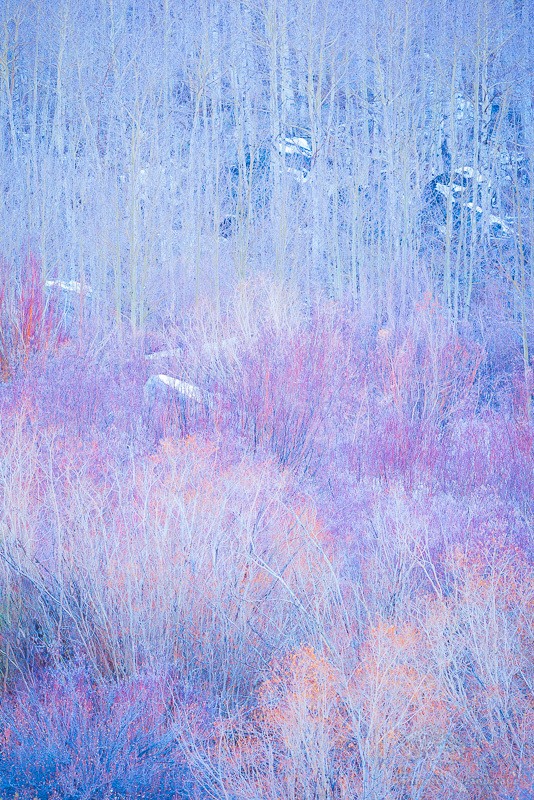 This entry was posted in Landscape Photography and tagged aspen trees, bushes, california, cold, Eastern Sierras, pastel colors, snow.